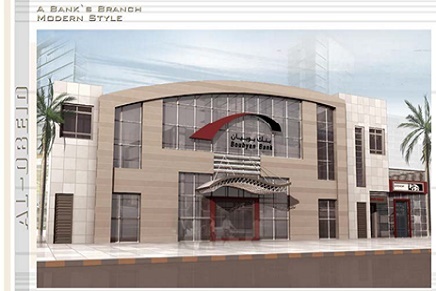 The project comprises the construction of an extension to a commercial complex in Fahaheel Area for the use as Bobyan Bank Branch site. The Building is a deluxe finishing on a plot area of 300 m2. It consists of one basement, ground, and mezzanine floor. It has been considered in the design to apply modern style, achieve utmost functionality requirements for the use of banking business. 1) Detailed Design including Working Drawings.